Cartilage is surrounded by a layer of dense irregular connective tissue known as the perichondrium (peri=around, chondra=cartilage). This is what keeps a “ball” of cartilage from bursting. Cartilage is made of chondrocytes (created from chondroblasts) that are isolated in spaces/chambers called lacunae through a ground substance of water and sugar. 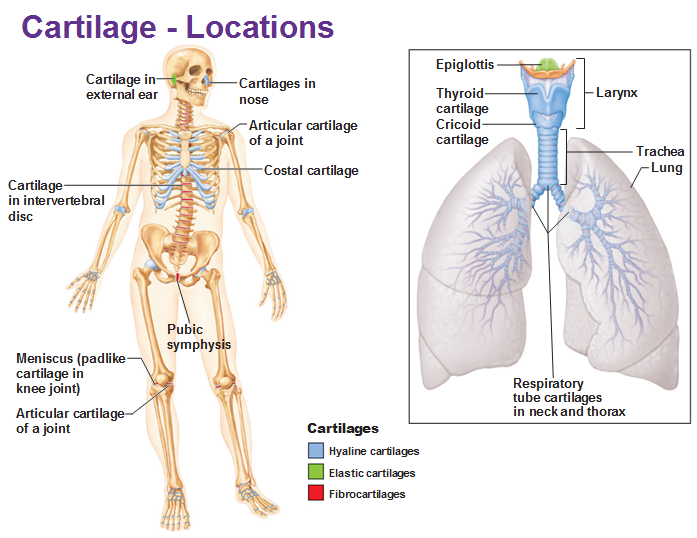 Cartilage is located in very specific places, usually between two bones. 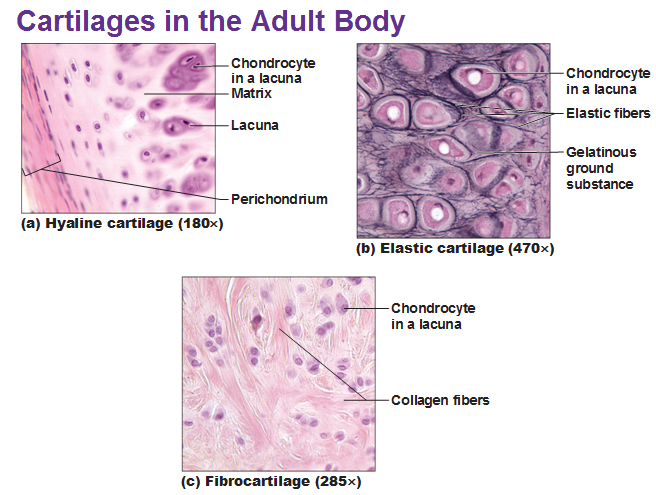 Hyaline cartilage is made of collagen and has a distinctive glassy appearance. It is found inside of joints and inside the respiratory system. A baby is full of this before the bones are totally formed. Elastic cartilage made of, you guessed it, elastic fibers. 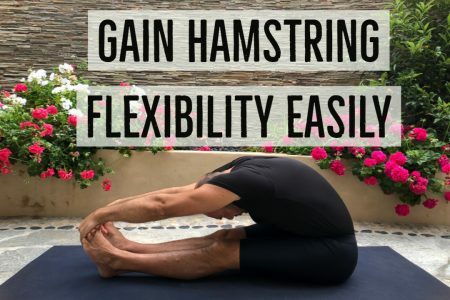 They can bend and snap back, like your outer ear, larynx, and epiglottis. Fibrocartilage is made of collagen and is in between vertebrae. 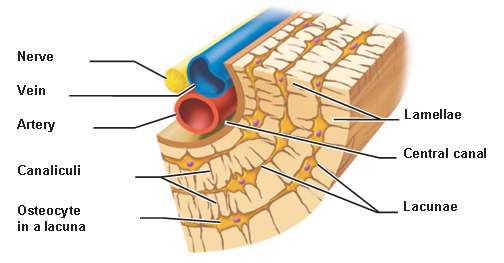 Fibrocartilage is something between Hyaline and Dense regular connective tissue because it resists pulling and has strong compression attributes. Anulus fibrosus are the ones in between vertebrae. Menisci are the fibrocartilage specifically in the knee. Appositional growth = Chondroblasts blast tons of matrix in the outer perichondrium. Interstitial growth = Chondrocytes secrete matrix/maintain/divide from the inside of the structure. Cartilage stops growing for ladies up to their teens and men up to their late teens. In adulthood, when cartilage gets damaged, it can only be replaced with fibrocartilage. We know bones obviously provide support, movement and protection. They also store calcium and phosphate and blood cells are formed in the marrow. Bones also play a role in energy metabolism: osteoblasts secrete a hormone called osteocalcin which is what triggers the pancreas to secrete insulin. 2/3 are inorganic: mineral salts (calcium phosphate) which make the bone hard and what preserve it long after the animal dies. Osteogenic cells are stem cells that become osteoblasts. Osteoblasts lay out a lot of bone matrix called osteoid. Osteoblasts that don’t produce matrix anymore but simply maintain it are called osteocytes. Osteoclast (anything with -clast means something that eats away) comes from white blood cells. They have multiple nuclei and secrete HCl acid to break down mineral salts and secrete lysosomes. Basically, everything needed to break down organic parts of your bone. 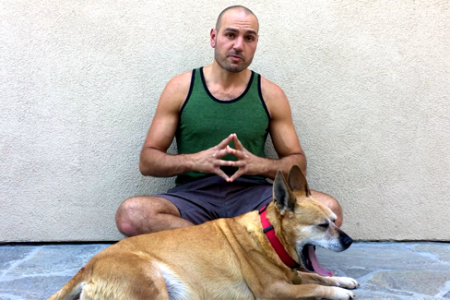 It’s totally normal to constantly break down and rebuild bone in response to stress (impact). And this is called remodeling. 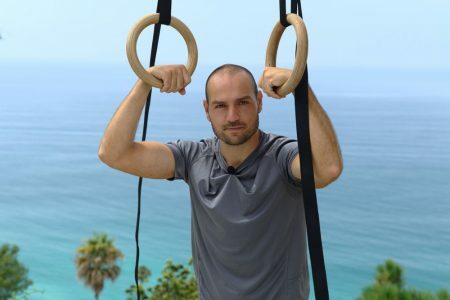 When you add pressure in the form of exercise it adds more than it takes away. 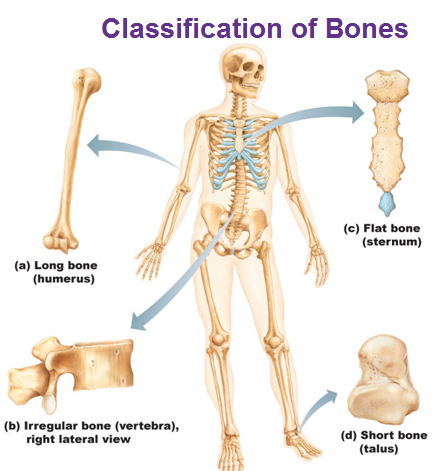 Any bone that can’t be classified easily would be an irregular bone. The inside is spongy (trabecular) bone and has lots of empty space. The medullary cavity = hollow space filled with yellow marrow. 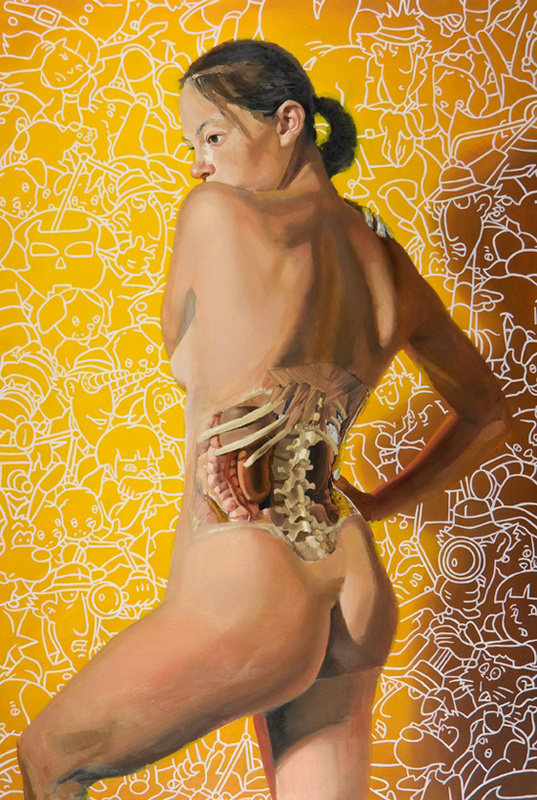 The yellow bone marrow is mostly fat. 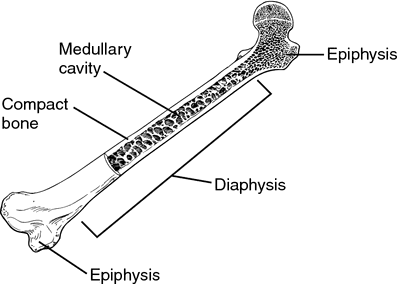 Diaphysis is the long part of a bone. 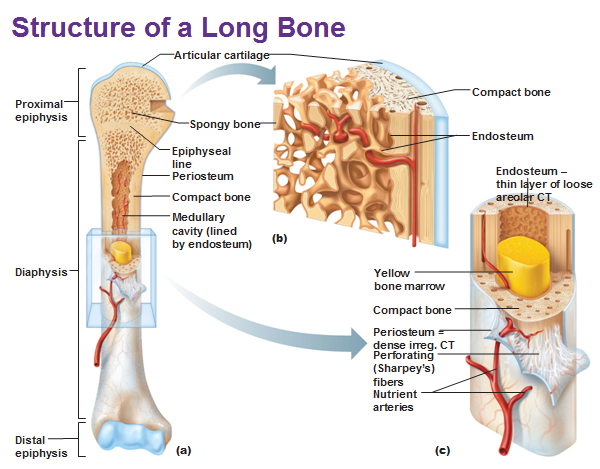 Periosteum (peri = around… osteum=bone) is the dense irregular connective tissue around the bone. Endosteum covers the inside, the spongy part and is loose areolar CT. Pink = Compression, Blue = stretch/decompression. This is a femur for example and the weight is normally placed on that right side. but u see that protrusion on the top LEFT side? that’s the bones reacting to the pressure from the right side, to balance it out. 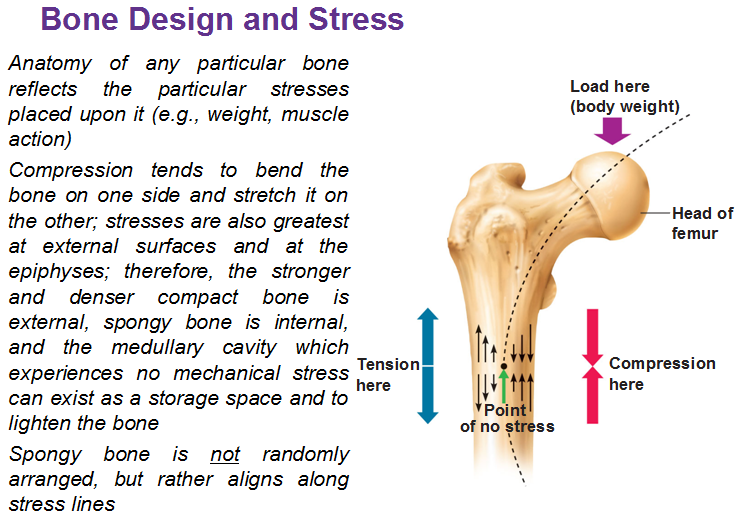 Bone stress is a thing to notice about all bones. Each one has a distinct shape from the stresses put on them. There’s another bump on a bone when a muscle is connected to a bone. So remodeling occurs when you lift weights as well. The Osteon or Haversian system are kind of like tree trunks. They are made of these stuctures that line up parallel with concentric rings. The lamellae are basically the rings. 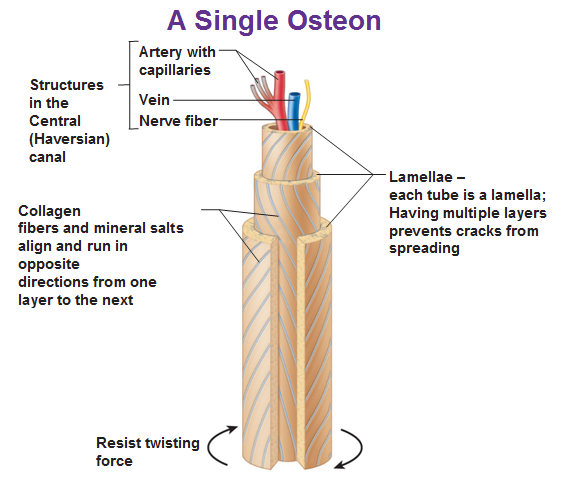 An osteon is made up of lamellae made of collagen. The collagen fibers are all parallel to each other but when you go to the adjacent layer, it is running in the opposite angle so that it’s strong and prevents cracks. Calcium phosphate lines these fibers (it’s a mineral salt). So we take a bunch of osteons and pack them together and we get compact bone. As each osteocyte lays matrix, it gets sealed into its own room and they reach out to the next osteocyte and communicate by gap junctions called lacunae even though they are very isolated. Canaliculi are the small passageways that reach out to other parts. 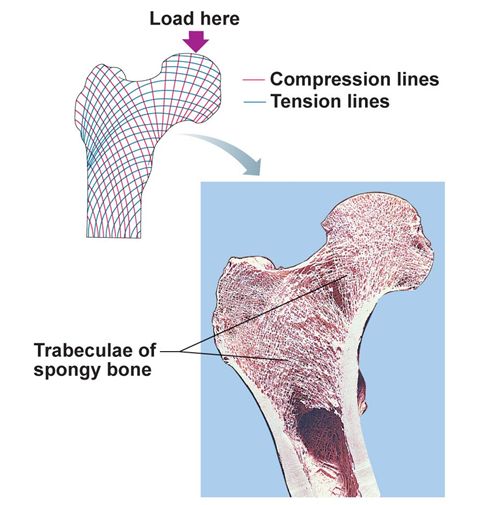 Spongy bone keeps bone light and doesn’t have a circular shape but it is made of the same stuff. 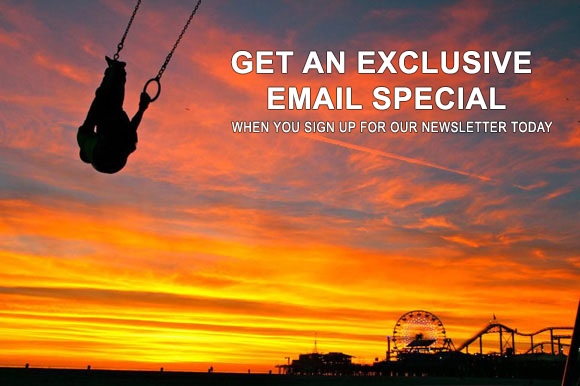 The epiphyseal plate at the end of a long bone allows a child to grow. 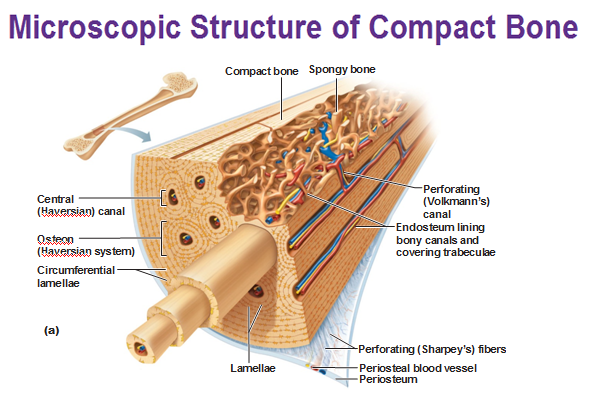 Between the diaphysis and epiphysis, cartilage will be present instead of compact bone. Just like the epidermis, this is a PROCESS, not a static picture. Proliferation zone: Chondroblasts push matrix into the bone and push epiphysis away from the diaphysis, making the bone longer. Calcification zone = not bone yet but the cells are dying. Ossification zone = Osteoclasts destroy the calcified cartilage and osteoblasts replace them with real bone tissue. 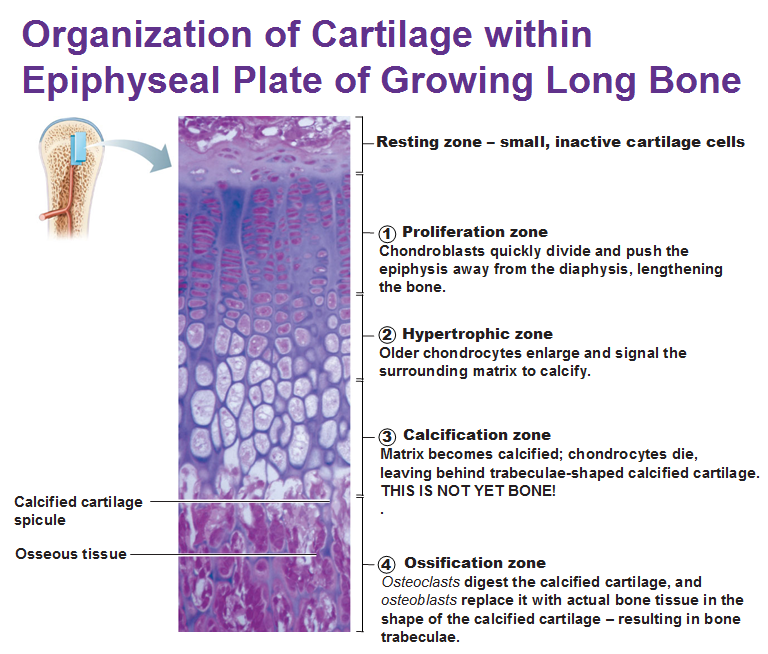 As you reach adolescence, the chondrocytes divide less often, the epiphyseal plate becomes thinner and the cartilage eventually gets completely replaced by bone tissue. All growth stops when the diaphysis and epiphysis fuse and all that’s remained is the epiphyseal line. Estrogen and testosterone trigger the start of bone growth. Growth hormone stimulates the growth of the epiphyseal plate while the thyroid hormone makes sure the skeleton retains proper proportions. Estrogen and testosterone later trigger the closure of the epiphyseal plate when growing is done.